Unit #107 of the Radio Lofts features three “enclosed” rooms for work, play or sleep. Open kitchen features new stainless appliances with gas range, southern exposure, dual paned windows, hardwood flooring & w/d hook-ups. This fabulous condo, JUST SOLD! Andy Read, Broker/Owner of Caldecott Properties represented the seller & Jeanine Weller, Realtor® also with Caldecott Properties represented the buyer. 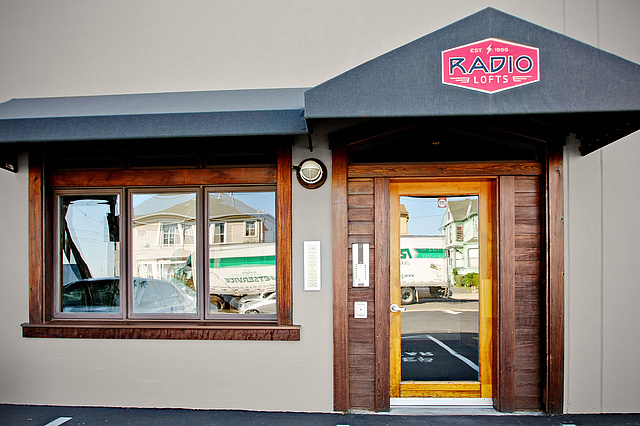 RADIO LOFTS – Units #201, 204 & 208, JUST SOLD! Built in 1955 as Miller’s Radio & Television Supply, this steel-reinforced concrete building has since been converted into 10 residential and 2 commercial condos. 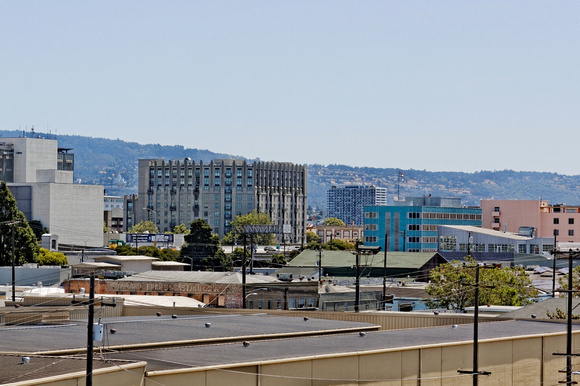 Located 3 blocks from the new Brooklyn Basin redevelopment project (30 acres of parks, trails & marinas, 3,000 residences, 200,000 square feet of retail), Radio Lofts is less than a mile from Lake Merritt, Jack London Square and BART – San Francisco is just 12 miles away. 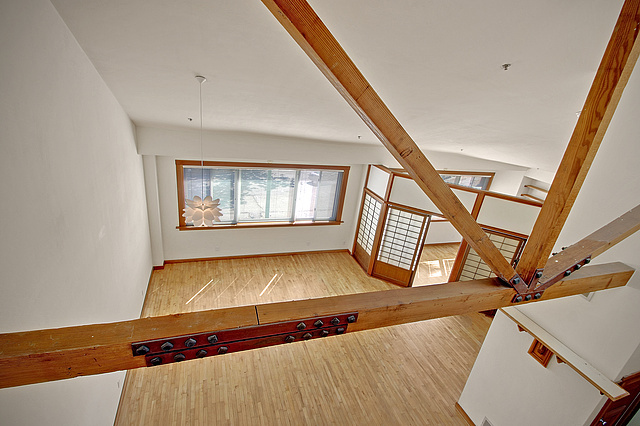 #204 is a top floor, split-level loft with huge south facing windows. Hardwoods, new stainless appliances with gas range & skylight. 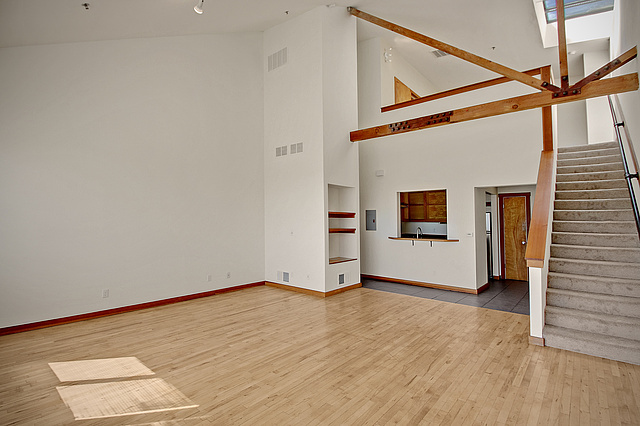 Andy Read, Broker/Owner along with Jeanine Weller, Realtor® of Caldecott Properties represented the seller in the sale of these condo-lofts. Penthouse unit 404, JUST SOLD! It includes the added bonus of its own 400+ square foot rooftop deck area for gardening and sunbathing. Designed by Thomas Dolan Architecture, the Phoenix Lofts at 737 2nd Street embody classic loft characteristics of exposed concrete and ductwork coupled with large windows and flexible, open floor plans. Amenities include garage parking, a community roof deck, common courtyards protected by large skylights, hardwood floors, and kitchens that come complete with professional style gas ranges and granite counters. Jeanine Weller, Realtor® at Caldecott Properties represented the seller. 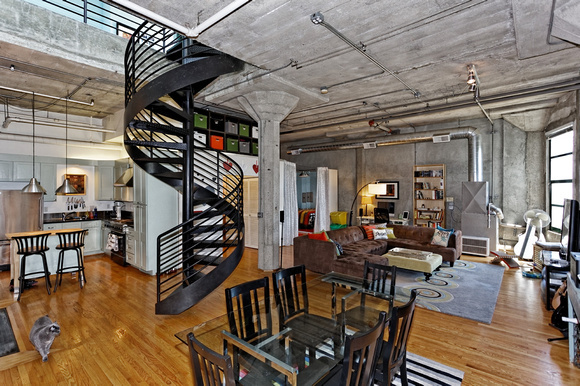 One of the most spectacular lofts in Jack London Square, JUST SOLD! Located on the top floor of the iconic Phoenix Lofts which was the former home to the 1920s iron works factory who made the majority of Oakland’s manhole covers. This two-story Penthouse live/work loft features 15 foot high ceilings on the main level, a huge chef’s kitchen with Viking range, granite counters and ample storage. 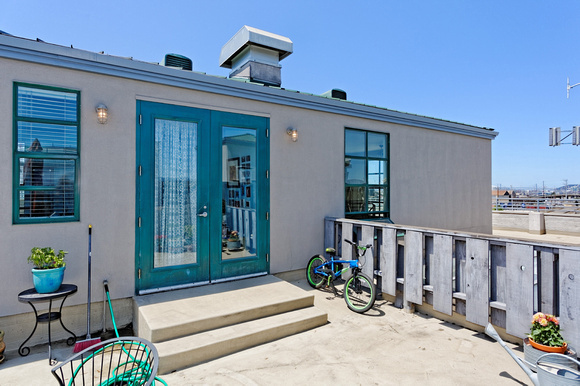 The loft also boasts two private outdoor spaces, including a 1,000+ square foot private wrap-around roof deck with views to San Francisco and the Bay. Jeanine Weller, Realtor® with Caldecott Properties represented the seller. 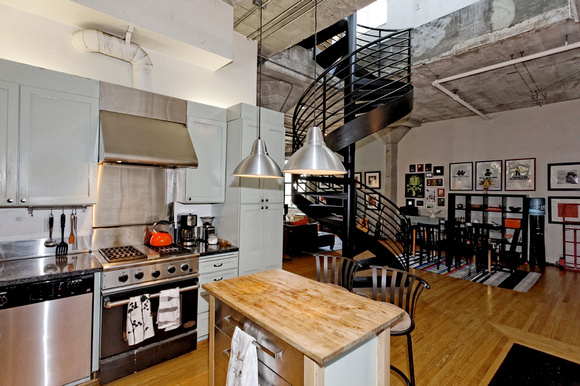 The live/work units in the Phoenix Lofts are quintessential industrial, warehouse style lofts. Completed in 2000 on the site once occupied by Phoenix Iron Works, the building facade retains a vestige of the old foundry, while the inside was converted in 2000 into a 29 unit mixed-use, live/work loft building. 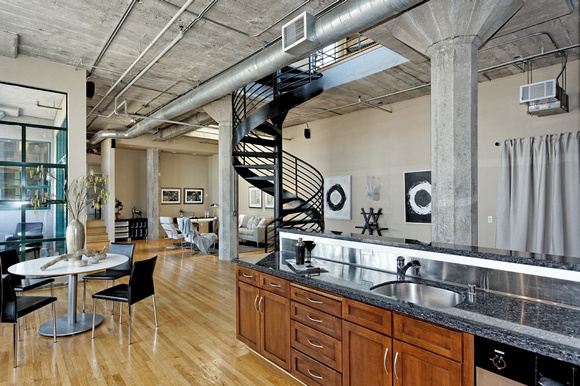 Designed by Thomas Dolan Architecture, the Phoenix Lofts embody classic loft characteristics of exposed concrete and ductwork coupled with large windows and flexible, open floor plans. Amenities include garage parking, a community roof deck, common courtyards protected by large skylights, hardwood floors, and kitchens that come complete with professional style gas ranges and granite counters. 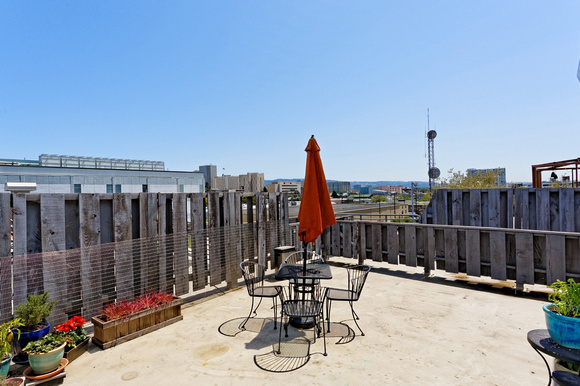 Penthouse unit 404 has the added bonus of its own 400+ square foot rooftop deck area for gardening and sunbathing. Listed by Jeanine Weller, Realtor with Caldecott Properties. And the Winner of the Open House iPad Scavenger Hunt is…. Congratulations to Keith Lichten for winning the iPad Scavenger Hunt drawing! 2nd Place went to Jeremy Weintraub ($50 Apple gift certificate) and Stephanie Medina ($25 Apple gift certificate) came in 3rd. Congrats, you two! We had a lot of people come out to our open houses and take part in this fun scavenger hunt! Thanks to all of you who participated, Liked Us on Facebook and entered the contest! Stay tuned for upcoming Caldecott contests & giveaways – and remember you can always get our most up-to-date East Bay listings at Caldecott.com and our Facebook page. Special thanks to our helpful & knowledgable Caldecott agents for hosting our open lofts/condos: Michael Braillard, Jeanine Weller, Jeanne Trombly, Antoine Pirson, Etta Brown, Don Dunbar and Nathan Zagal. 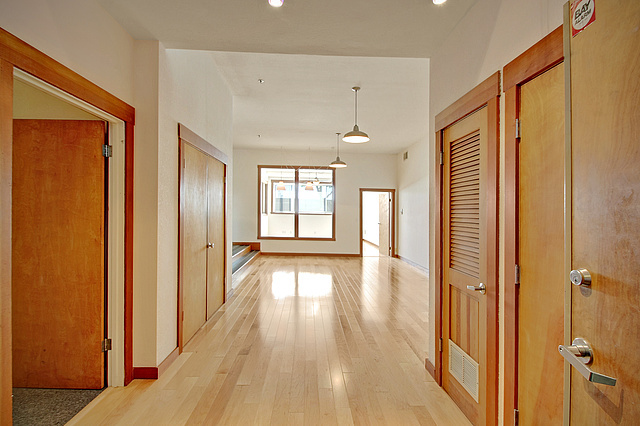 Willow Court Lofts: True Live/Work Lofts in Oakland starting at only $249k! Conveniently located near freeways, West Oakland BART and downtown Oakland ~ be in SF in 15 minutes! 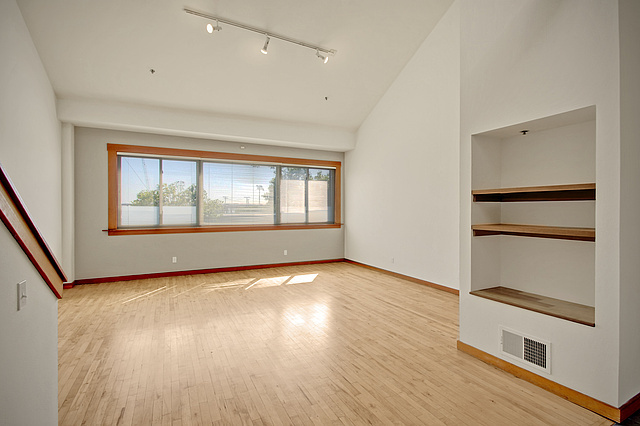 For more photos, floor plans and pricing, check out www.WestOaklandLofts.com, and check out our open house every Sunday from 2-4:30pm.